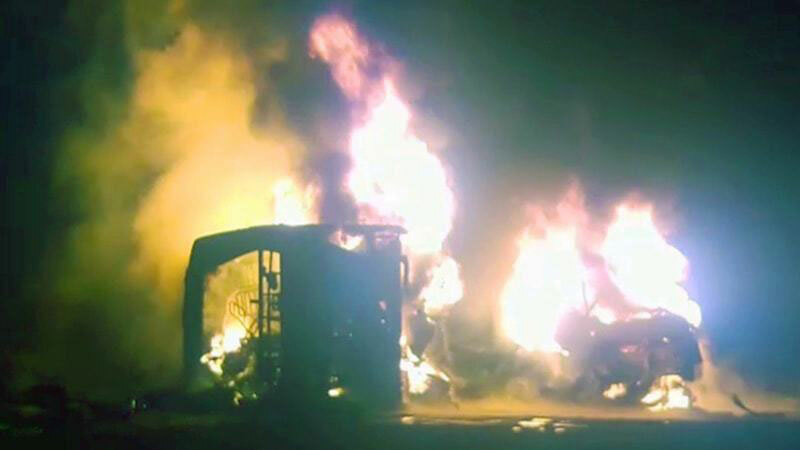 At least 27 people were killed and 6 others injured when a bus in Balochistan’s Lasbela district burst into flames after crashing with a truck on Monday. The ill-fated bus carrying dozens of passengers was heading from the port city of Karachi to Panjgur district, when it crashed in Lasbela district. The rescue and emergency services immediately rushed to the site where the accident occurred and carried out a rescue operation. At least 26 bodies have been recovered from the vehicle. All of them were burned. The bodies were later shifted to Edhi's morgue in Karach. Deadly traffic accidents have been very common in the country owing to reckless driving and the dilapidated condition of roads. Every year hundreds of people lose their lives in traffic related incidents in the country.